I've been busy cutting out a ton of stuff I need for the feature film the past two months, but today I finally got to shoot something! It's just a test shot, but animation is going to begin quite soon. 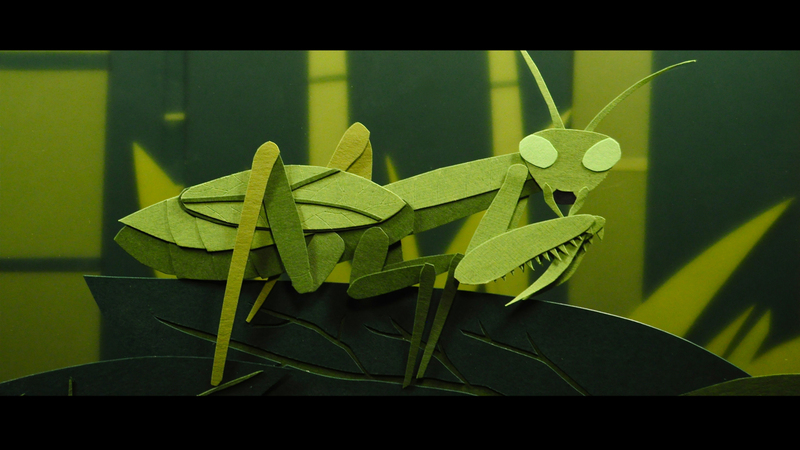 This test shot of a mantis was a trial for a new animation rig I have set up. It's a table with multiple glass layers (2 at the moment, but it can grow), enabling for depth of field shots. You'll notice the background is a bit blurry, which adds a sense of depth to the shot. I'm quite pleased with how it turned out.